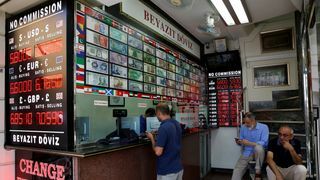 Turkey's central bank raised its interest rate to a much higher than expected 24% on Thursday, triggering a surge in the country's flagging currency. The surprise move by the bank comes as Turkey has been battling through one of the most troubled periods for its economy under the rule of President Recep Tayyip Erdogan, which saw runaway inflation and the Turkish lira battered on currency markets in August.The Central Bank of the Republic of Turkey (CBRT) raised the rate from 17.75% to 24%, significantly higher than the analysts' consensus of 21%, and in apparent defiance of the president, who has regularly expressed resistance to raising rates.The lira reacted strongly to the rate rise, initially up 5% in value to 6.0 lira to the US dollar, later settling up more than 2.7% at 6.15 to the dollar. Turkey's central bank, which described the hike as a "strong monetary tightening to support price stability", had left interest rates untouched since early June, causing markets to question just how independent bank policy was from the country's president.There had been indications from Turkey's central bank that it would raise rates, after inflation came in at nearly 18% in August, according to official data.The embattled currency has fallen by 40% this year amid a lack of interest rate hikes to control inflation. 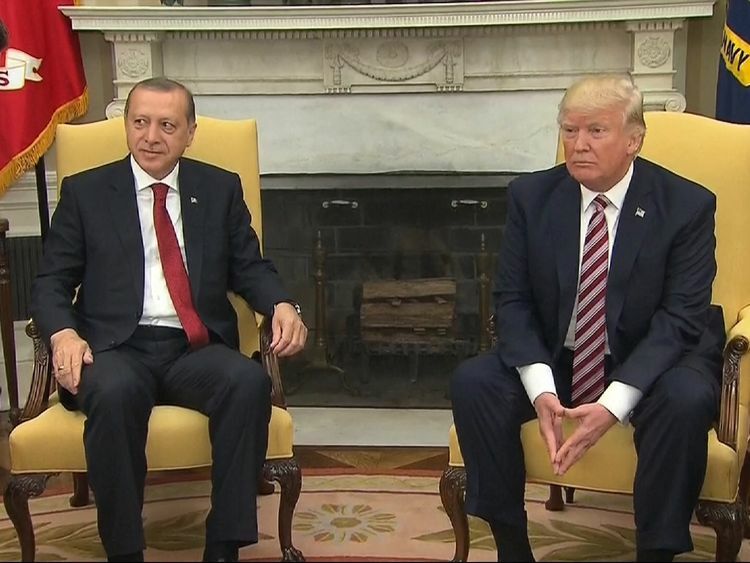 But just hours before the CBRT decision, president Erdogan had dubbed interest rates as a "tool of exploitation", with the lira sliding further.He also decreed that local property sales, rental contracts and leasing transactions could no longer be conducted in foreign currency, in a fresh bid to buttress the flagging lira.Countering a trend popular within Turkey, especially within the retail sector, the government said any contracts previously made in foreign currency but which were currently in effect must be converted into lira within 30 days. 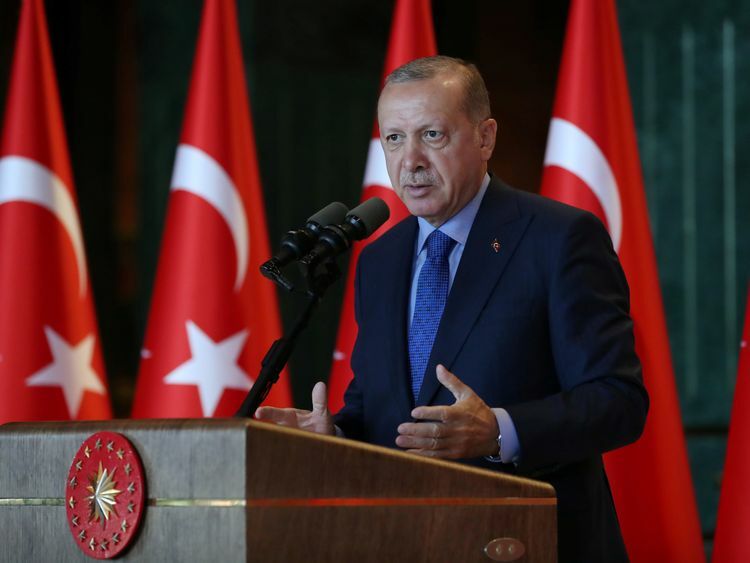 Turkey's currency and inflationary troubles are also compounded by the threat of steel and aluminium tariffs from the US as well as sanctions over the detention of an American evangelical pastor. The lira's deterioration has affected the currencies of other emerging markets as investors sought refuge within the dollar. ::How Turkish contagion is threatening global marketsThe rate rise comes on the same day as the Bank of England left the interest rate untouched at 0.75%, citing heightened risks to global growth as a result of volatility within emerging markets, as well as tensions between the US and China.The bank said on Thursday that inflation developments pointed "to significant risks to price stability" due to the recent fall in value of the lira.It said the policy would be "maintained decisively until inflation outlook displays a significant improvement". "Deterioration in the pricing behaviour continues to pose upside risks on the inflation outlook, despite weaker domestic demand conditions," the bank added.Neil Wilson, chief market analyst at Markets.com said: "This was a definite statement from policymakers, but the risk now is that the market tries to test the central bank's resolve: the horse may have already bolted."